High Performance. Scalable. Customized For Your Business. Optimize your fleet with Connected Vehicles fleet management solutions. High-performance technology that’s scalable, flexible, and can be customized to suit your exact business needs. Intelligent business solutions work the way you work. Connected Vehicles solutions are crafted based on your requirements, tailored to your needs, customized for your users, and fit into your budget. These are custom solutions, fine-tuned to the way your business operates. All information is at your fingertips at all times. Anywhere. 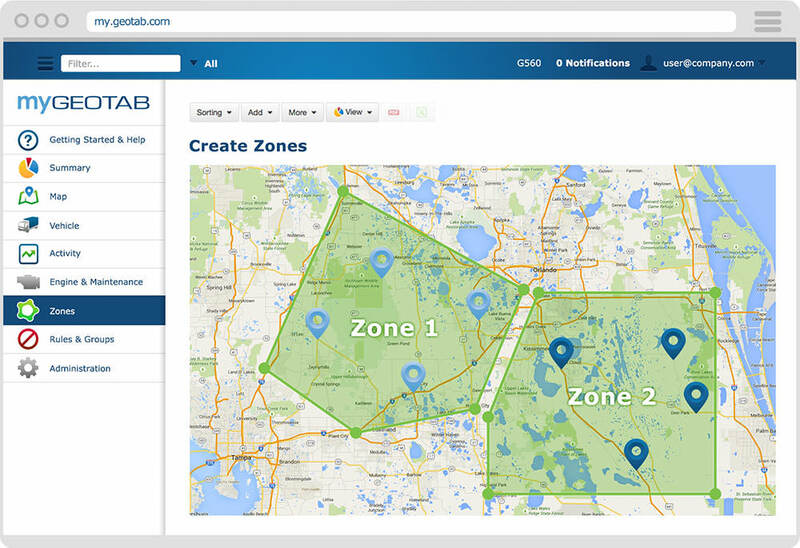 MyGeotab Dashboard – an interactive window into your fleet’s performance. 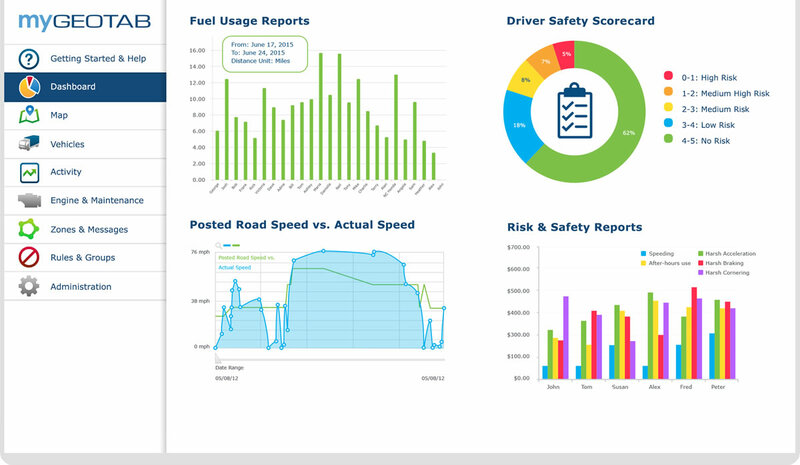 View key metrics on fleet and driver behavior at a single glance. 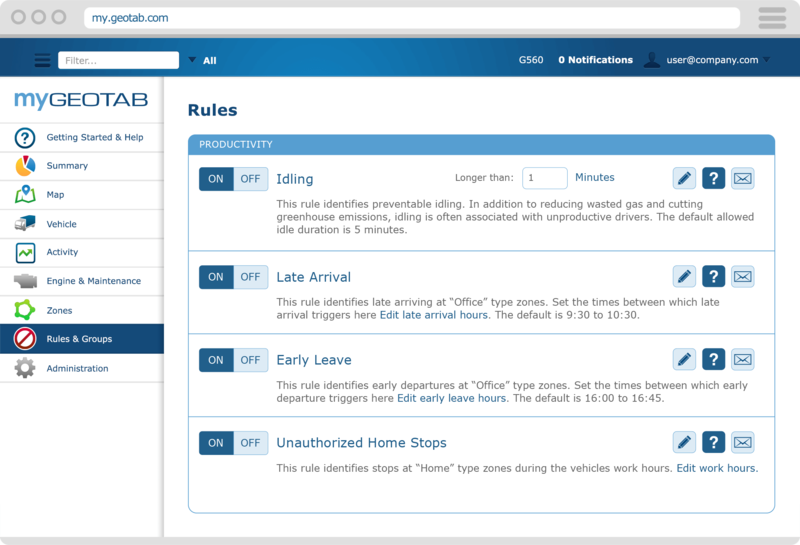 Compare the safety of your drivers with the Driver Scorecard, and analyze productivity with the Idle Time chart and Activity Summary report. You can also add custom reports to view fuel consumption and other critical trends, in addition to organizing your reports with drag-and-drop and resize functionality. Easily comply with all regulations and keep track of the hours of service (HOS). Improve overall business productivity & keep your fleet on the road. Better manage routes, vehicle speed, idling time, fuel cards, etc. Track fuel usage for 1 vehicle or your entire fleet. 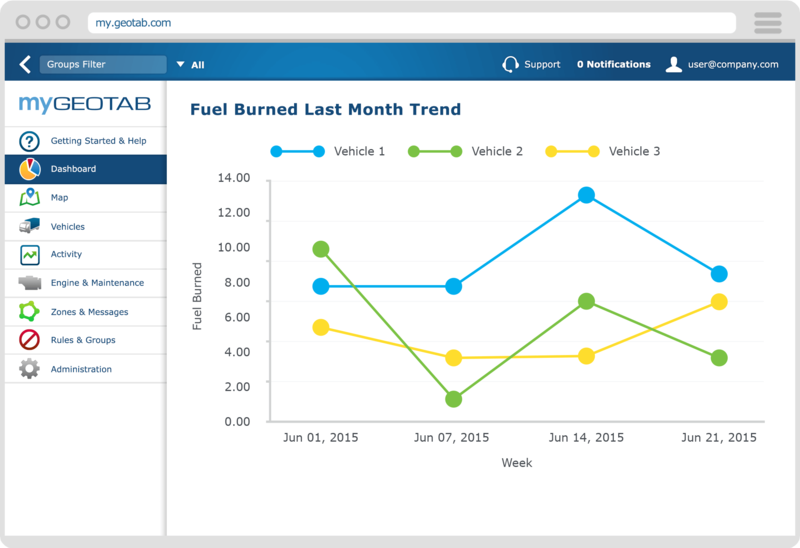 You can even compare side by side fuel usage data to optimize your fleet performance. Get an alert for a potential critical engine health issues and easily prioritize the repairs for your vehicles. 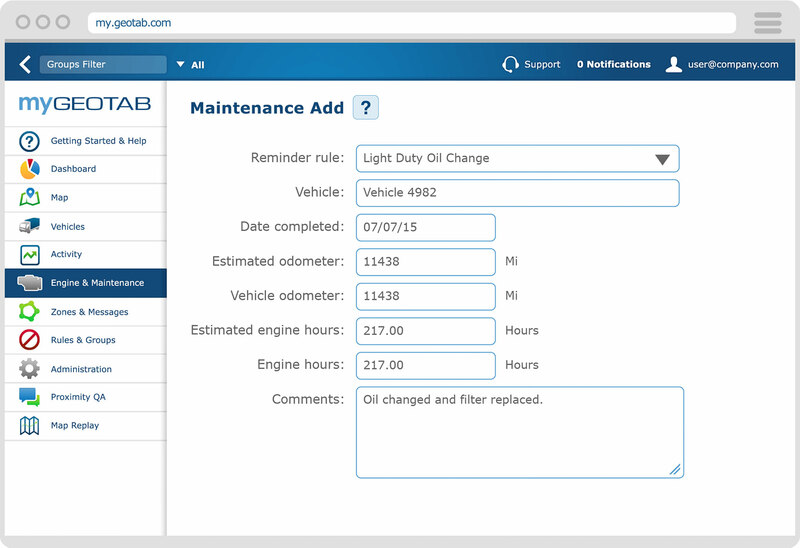 Detect issues early and setup vehicle maintenance schedules and reminders. 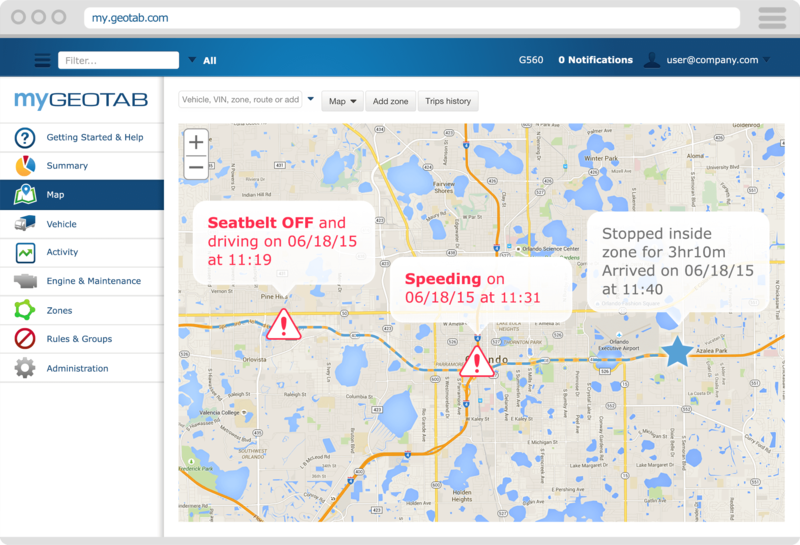 Geotab’s patented “breadcrumb trail tracking” offers the most advanced insight to your drivers’ on-road performance. We store your trip history so you can recreate any trip, at any time, when you need it. Use active diagnostic faults and other engine-derived information to prioritize your vehicles in need of maintenance. 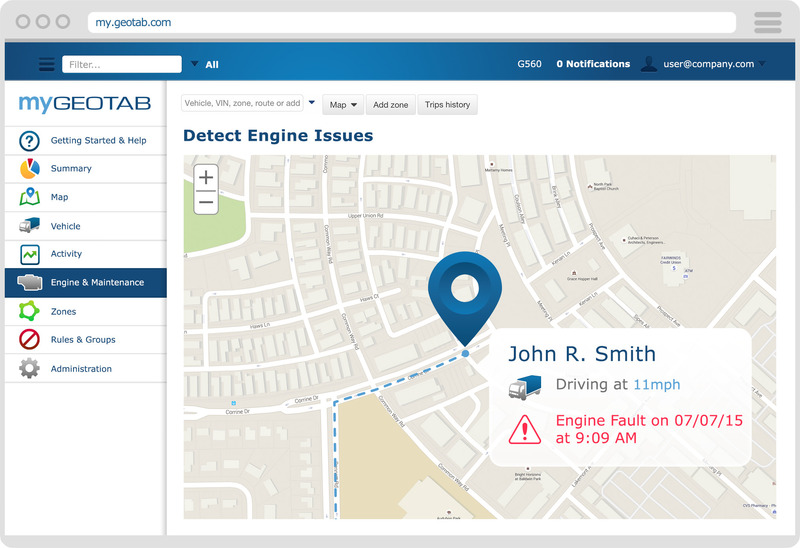 Quickly identify core problem areas and reduce your maintenance costs by focusing on predictive engine health.